8oz/236ml bottle of Beard Conditioner with a refreshing Verbena Lime scent. Zeus Beard Conditioner in Verbena Lime contains natural ingredients that tame the even the most bristly beards. Zeus Beard Conditioner combats flaky skin with a blend of Pro-vitamin B5, Aloe vera, and Avocado oil. Use this conditioner daily to maintain, condition, and strengthen your facial hair. 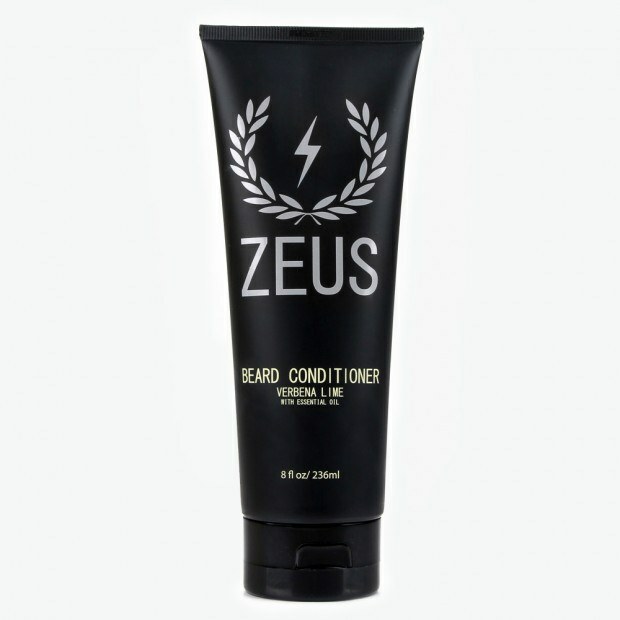 Zeus Beard Conditioner is specifically formulated for your beard to provide optimal moisturization and comfort. Perfect for sensitive skin! Ingredients: Water (Aqua), Cetearyl Alcohol, Behentrimonium Chloride, Glycerin, Fragrance (Parfum), Panthenol (Pro-Vitamin B5), Brassicamidopropyl Dimethylamine, Polysorbate-60, Aloe Barbadensis (Aloe Vera) Leaf Juice, Gluconolactone, Tetrasodium Glutamate Diacetate, Arginine (L-Arginine), Sucralose, Sodium Benzoate, Simmondsia Chinensis (Jojoba) Seed Oil, Persea Gratissima (Avocado) Oil, Hydrolyzed Quinoa, Hydrolyzed Flax Protein, Daemonorops Draco (Dragon’s Blood) Extract, Chamomilla Recutita Flower/Leaf (Chamomile) Extract, Camellia Oleifera Leaf (Green Tea) Extract, Citric Acid.